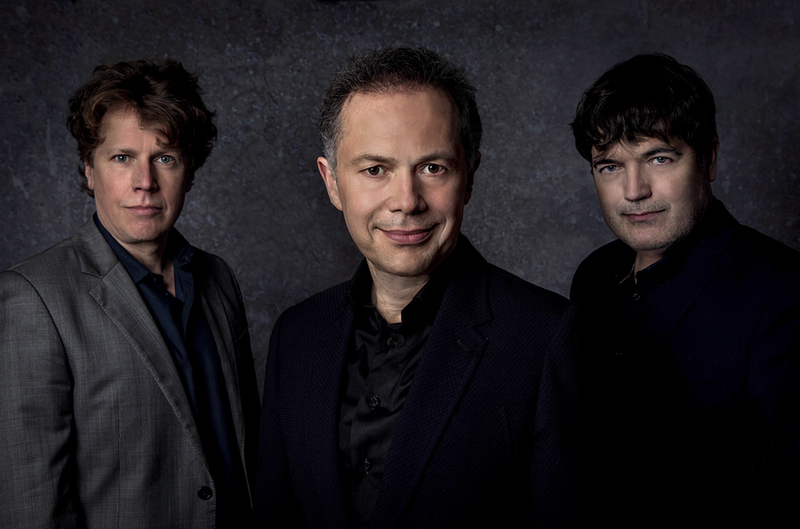 The Dominic Alldis Trio explores the meeting point of two worlds: classical music and jazz. Taking inspiration from the legendary Jacques Loussier Trio, Bill Evans Trio, Dave Brubeck Quartet and the Modern Jazz Quartet, the trio improvises on famous themes from classical music and opera as well as traditional folk songs, bringing a fresh perspective and contemporary feel. Previous engagements have included concerts at the London Jazz Festival, Festival Hall (South Bank Centre), Elgar Room (Albert Hall), Pizza Express Jazz Club, Dulwich Picture Gallery, Athenaeum Club, Chelsea Arts Club, Clapham Omnibus, Menuhin Hall, Cranleigh School, Amersham Festival, Oundle Festival, and St. James's Piccadilly. Their concerts resonate with a broad audience, engage listeners across musical boundaries and celebrate the timeless art of improvisation. The trio is available for concerts at music venues, festivals, music societies, churches and schools. Listen to extracts from their latest recording: Dominic Alldis Trio plays Donizetti, Chopin & Bach. Their previous album Praeludium featured jazz interpretations of Bach, Fauré, Pachelbel, Satie, Bizet, Dvorak, Borodin, Chopin and Bartok. The trio are Selected Artists in the 2019-20 Concert Promoters Guide. Dominic Alldis is a Steinway Artist, arranger and professor at the Royal Academy of Music. His performing career has taken him from solo concerts at the Purcell Room in London's South Bank Centre, through chamber concerts at the Wigmore Hall to appearances at major jazz venues including the Pizza Express Jazz Club and Ronnie Scott's. He is uniquely placed as an experienced jazz and classical performer, and many of his musical projects explore the meeting points of these two musical worlds. Martin France has played with many of the world's finest jazz musicians in over forty countries worldwide. A turning point in his early career was his role within the Eighties big band Loose Tubes, where he began a longstanding partnership with many of its members, in particular jazz composer and pianist Django Bates. Martin has performed and recorded with Elvis Costello, David Gilmour, John Taylor, Kenny Wheeler, Dave Holland and Lee Konitz. Andrew Cleyndert has toured with bands led by many of the major figures of British and American jazz, including Bobby Wellins, Don Weller, Red Rodney, Bud Shank, Gene Harris and Annie Ross. In the early 90s he become a member of the Ronnie Scott Quartet and until his recent death was bassist in the groups of British jazz legend Stan Tracey. Andrew and Dominic have been performing together in numerous ensembles since 1985.